I have bought after market cartridges and now the printer only partially prints pages at best. Is the printer busted, or is it likely to work if I go back to original Canon cartridges? What is going on? Any help is appreciated. Mp830 suddenly stopped copying or scanning prints fine. I have done all the usual, turn off overnight, reset etc... still on luck just says scanner not working properly and the scanner head does not move across. 46947-2323 Power failure while receiving a fax. Now printer will not power up. all my photo Canon MP830........my printed images all have a yellow tint. When I don't use the the MP830 easy print software my prints are color perfect. All problems on this page have been submitted and answered by users. If you have a problem with the Canon PIXMA MP830, please submit it below and we'll post it here. Problem: I have bought after market cartridges and now the printer only partially prints pages at best. Is the printer busted, or is it likely to work if I go back to original Canon cartridges? What is going on? Any help is appreciated. Problem: Mp830 suddenly stopped copying or scanning prints fine. I have done all the usual, turn off overnight, reset etc... still on luck just says scanner not working properly and the scanner head does not move across. 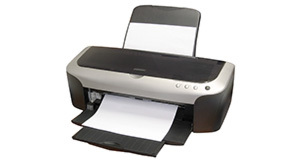 Problem: 46947-2323 Power failure while receiving a fax. Now printer will not power up. Problem: all my photo Canon MP830........my printed images all have a yellow tint. When I don't use the the MP830 easy print software my prints are color perfect.